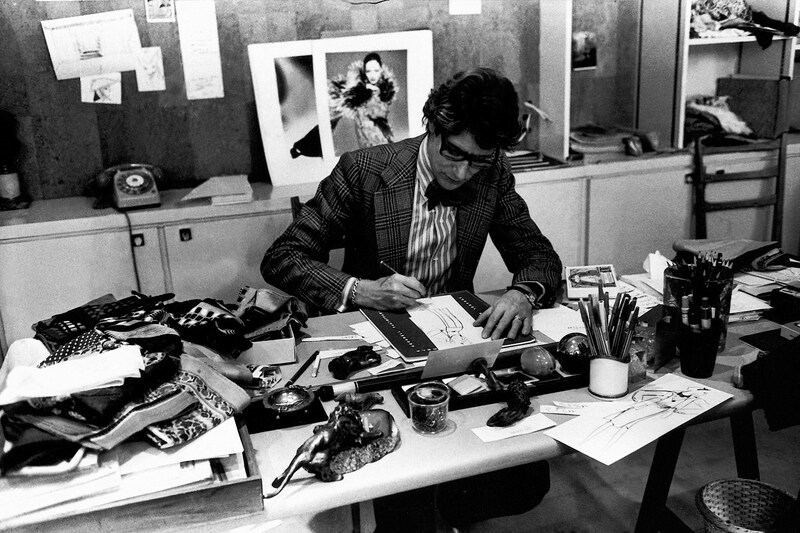 As any fashion girl worth her salt will know, the designer Yves Saint Laurent was instrumental in breaking down the boundaries that defined haute couture in the 1960s. He had fun with fashion, incorporating pop culture into his designs and turning style from pretentious pieces reserved for a stuffy few into covetable, yet wearable, collectibles for the modern woman. Since his death in 2002 though, the designer’s couture legacy has stayed largely muted. But as of next year, he will receive the salute he deserves. If you ever wonder what goes on behind the scenes of iconic fashion houses, the design studio would probably be your starting point of investigation as it is in the studio that many great marks in fashion history were first imagined. Fans of Yves Saint Laurent can rejoice, as once the Foundation Pierre Berge-Yves Saint Laurent in Paris reopens as a permanent museum, the couturier’s studio and former couture salons will be open to the public for the first time. Refurbished to replicate the style of Saint Laurent’s original couture house, the exhibition space will double in size. The museum will constantly update its display of pieces from the maison’s archives, which include some 5,000 garments, 15,000 accessories, along with a multitude of sketches, photographs and other objects. At the same time as the Paris museum’s opening, the foundation will oversee a simultaneous opening in Marrakech – a city close to Saint Laurent’s heart and a great source of inspiration for his work. Housed adjacent to Jardin Majorelle, which Saint Laurent and his partner Pierre Bergé saved from development in 1980, the new building will contain a permanent display of Saint Laurent’s work as well as space for temporary exhibitions, an auditorium, a research library and a café and restaurant. Even though both projects aren’t due for completion until Spring 2017, it’s still something to consider next time you’re planning a trip to Paris… or Marrakech for that matter! Anyone in for an YSL pilgrimage?